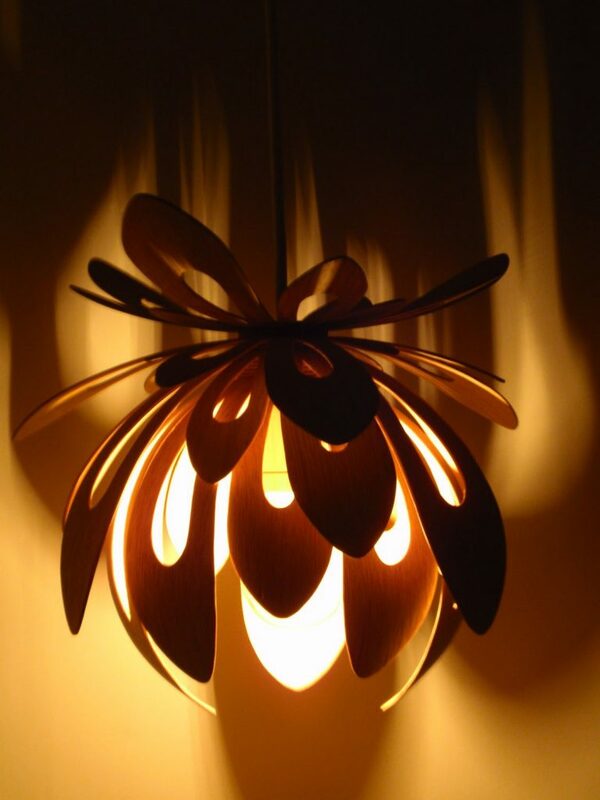 The pendant veneer lamp Bloom consists of 4 shades with 10 petals on each, with a total of 5 different sizes of petals. 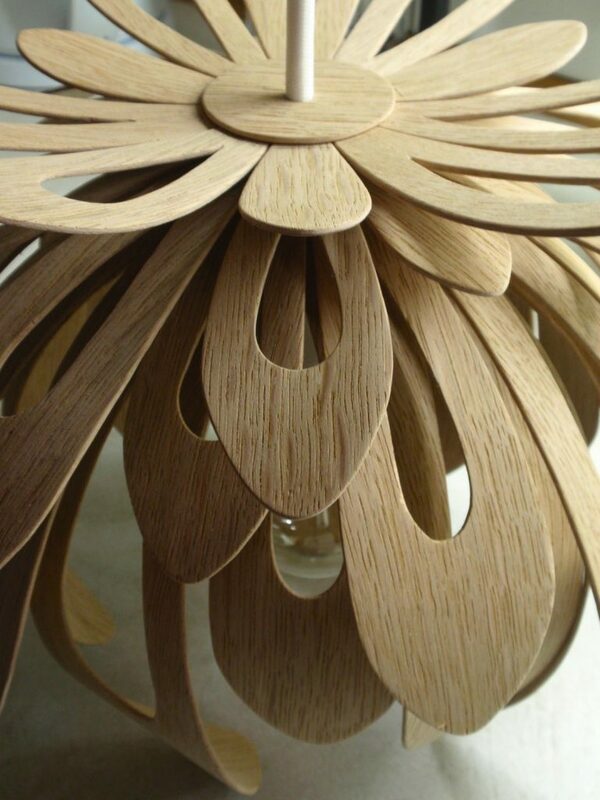 The petals are made of moulded veneer, which consists of 3 layers. The 4 shades lye on top of each other and can therefore be rotated relative to each other, thereby providing various forms of lighting in the room. When the light is turned off the lamp has a cool and Nordic feel to it. When the light is switched on the lamp will give a nice atmospheric mood with an interesting and playful pattern in the ceiling and surrounding walls. I imagine the final lamp being about 50cm wide so it will create a focal point in the room it is being placed. The materials for the Bloom lamp should be different types of wood from the northern countries to create this special “Nordic feeling”. For a cheaper and easier produced lamp I imagine the lamp also being made in coloured acrylic or sheet metal. By laser cutting and afterwards moulding into shape the production method and time with these materials can be optimized significantly.